France has become the fourth EU country to be let back on to the US market to export beef. The US market has been closed to beef from the EU since January 1998, when the United States introduced import restrictions on beef and veal, sheep and goat meat following the BSE (Bovine spongiform encephalopathy) crisis. The European Commission has welcomed the decision, which was announce by the US last week. The Commission said it was a new step in the reopening of a closed market since the bovine spongiform encephalopathy (BSE) crisis in the 1990s. “After similar decisions taken for Ireland, Lithuania and the Netherlands, the Commission welcomes the decision of the United States to authorize imports of beef from France,” said Commissioners Cecilia Malmström, Trade Commissioner Vytenis Andriukaitis, in charge of Health and food security, and Phil Hogan, in charge of agriculture. They said that the measures that have been put in place by the European Union to eradicate BSE from its territory have borne fruit. 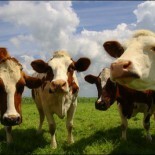 The Commission said that the measures go beyond the recommendations of the World Organization for Animal Health (OIE). European beef is therefore safe for consumers. “This is excellent news for French producers and the Commission continues to work with all parties concerned to ensure that in the near future all Member States will have equal access to the US market,” they said. “This decision by the US clearly demonstrates what we can achieve by having an open and constructive relationship with one of our most important trading partners. However, the move comes at a time when the EU faces a reinstatement of the punitive trade tariffs that had been put in place by the US in 1999 over the EU’s ban on imports of hormone treated beef. The US Trade Representative have instituted a meeting and is calling for comments on the situation at the request of the US beef sector which says it has been unfairly treated by the EU. The US is calling on the EU to take a purely science based approach, but the European Commission says that the US is threatening to withdraw from a Memorandum of Understanding that was drawn up to allow more than 60,000 tonnes of non-hormone treated beef onto the EU market. If the tariffs are reintroduced, they will affect a range of products including most beef products that have just been allowed back onto the US market from the EU. A total of more than 80 products with a value of nearly $117 million would be affected. This entry was posted on January 16, 2017 by agedchrisharris in Cattle, Meat, Uncategorized and tagged EU, France, Government, Legislation, Markets, politics, regulation, trade, US.